I hope that you all had a fantastic weekend. Over here in Canada today is a holiday (Victoria Day) so it's a long weekend. Today is the day that I am supposed to watch the fireworks but there is chance that it may thunderstorm, so we'll see. The weather has been picking back up here in Toronto which is really nice!! What I have to share with you today is the For The Love Of Polish May Galaxy Box. 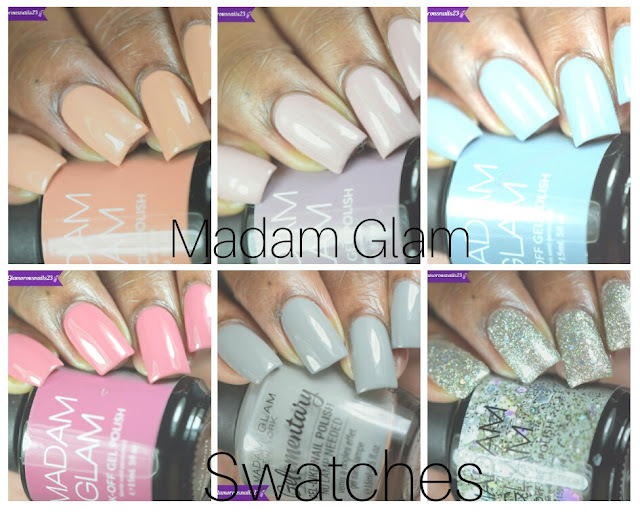 I did a post on last months box which can be found here. I really have liked these boxes thus far so be prepared to see them on the blog each month (as long as I can get my hand on one!). Each month there is a limited amount of boxes made with a different theme and a different guest polish. 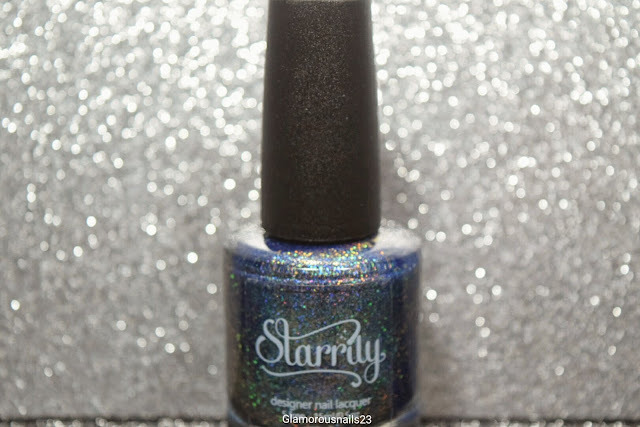 This months guest polish is Starrily. Let's get started! This time around although I was super excited about seeing what goodies were inside I remembered to take photos to share with you all! 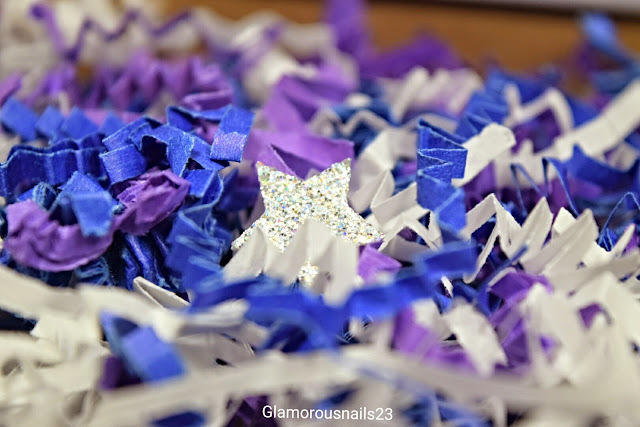 So I saw this really cute little star that was in the mix of the purple,blue, and white paper. 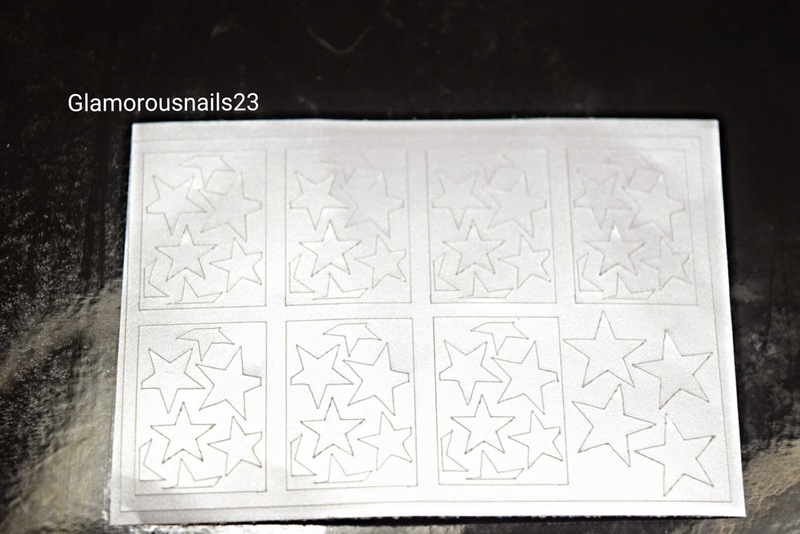 There were also some very cute star nail vinyls included in the box as well. 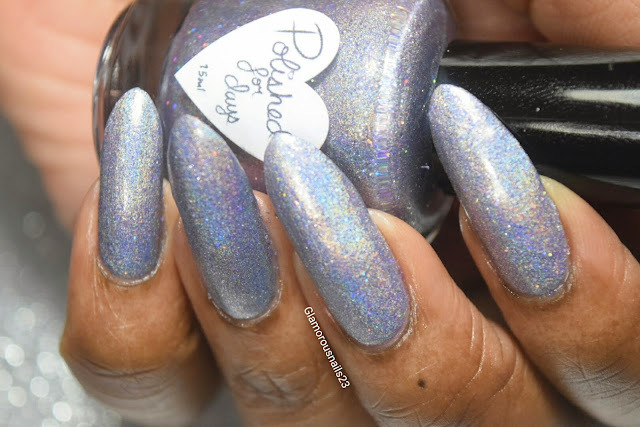 Out Of This World by Polished For Days is a smooth silver-blue metallic polish that contains holographic micro-glitters! 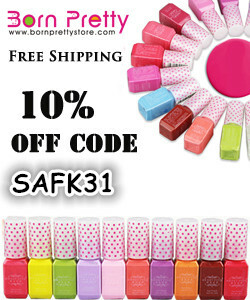 The formula was smooth ,easy to work with and dried fast. The first coat was a bit sheer but built nicely and was fully opaque in two coats! 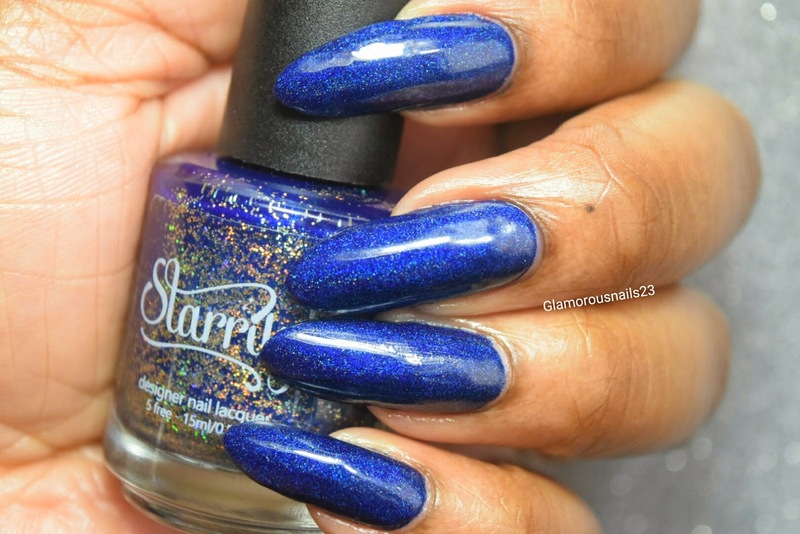 At first I wasn't too sure about how I was going to feel about this polish but I absolutely love it!! It's so pretty. In the photos I used two thin coats with a top coat. 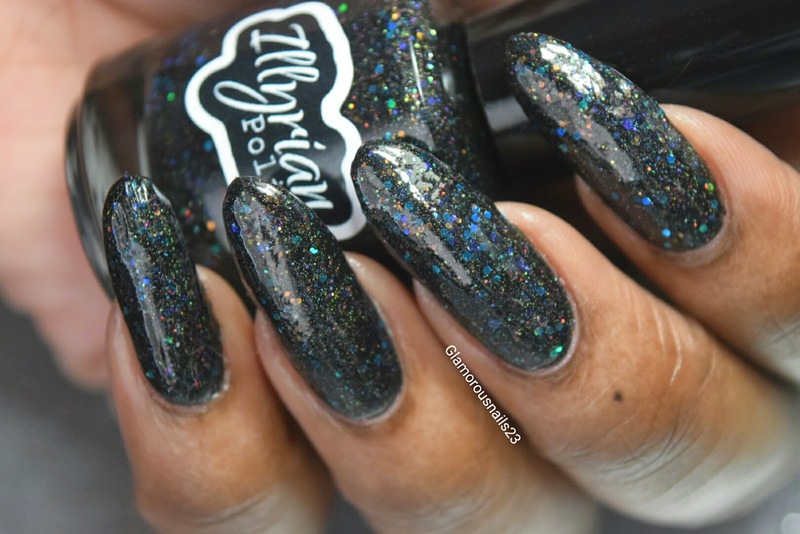 Up next from the For The Love Of Polish Box is Orion Polish by indie polish maker Illyrian Polish. 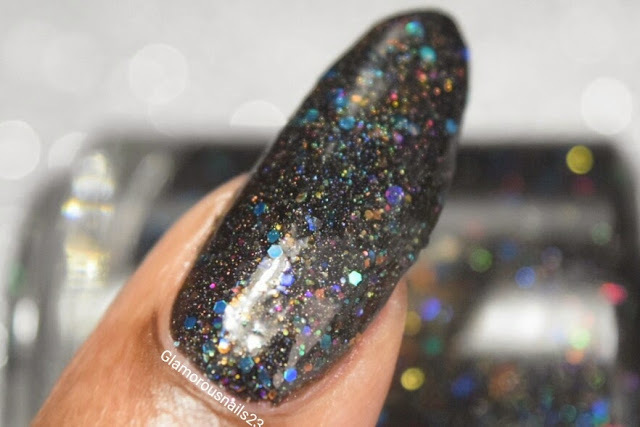 Orion Nebula is a black based holographic polish. 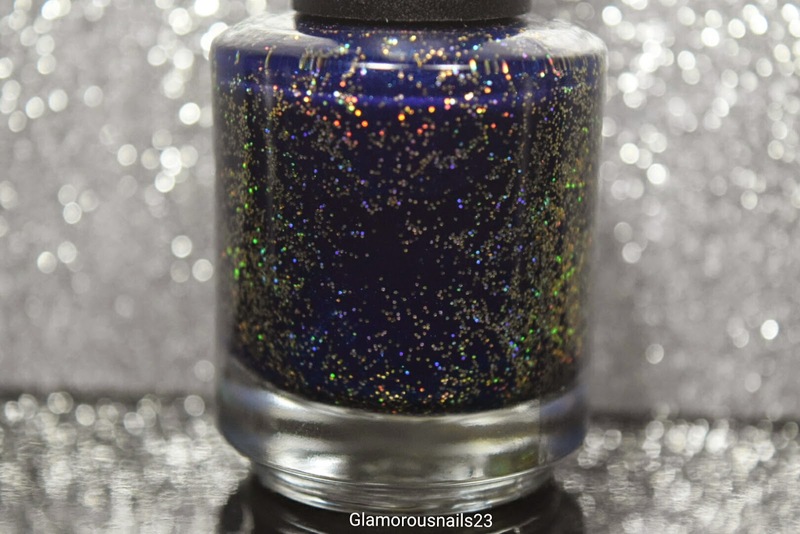 This beauty is jam packed with teal, orange, and purple glitters! 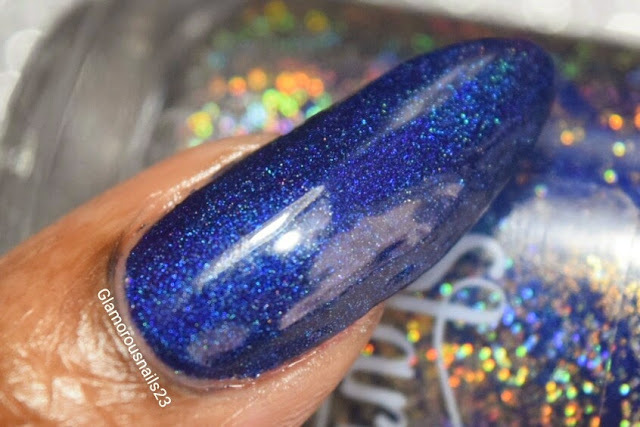 I must say that this is a very unique and different polish. I am super happy that I was able to add it to my collection because I definitely do not have anything like it. 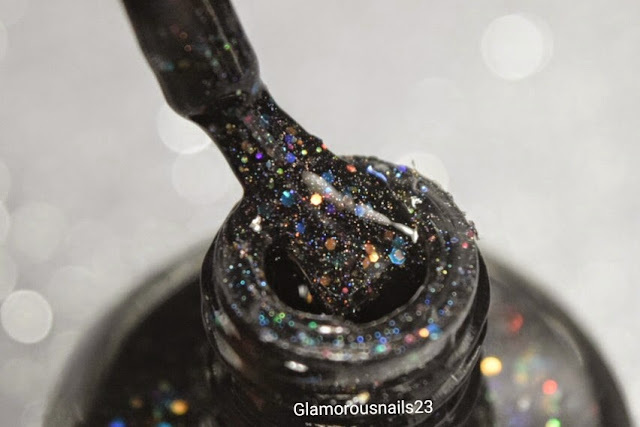 The formula was okay; a little bit on the thicker side. 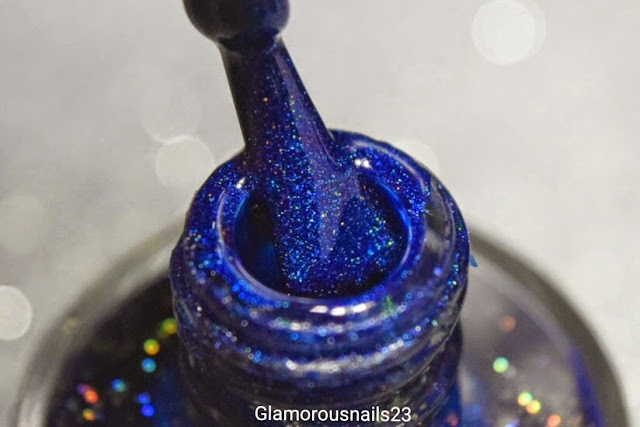 The glitter more than likely is what made the polish a bit more on the thicker side BUT I was still able to work with it. Another plus was that it did dry super fast! 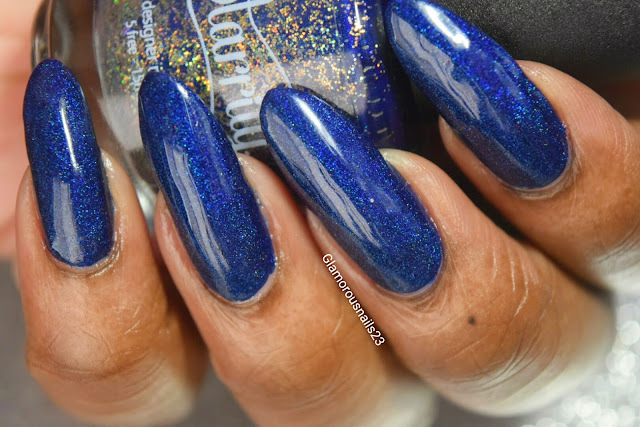 For the photos I used three thin coats with a top coat. 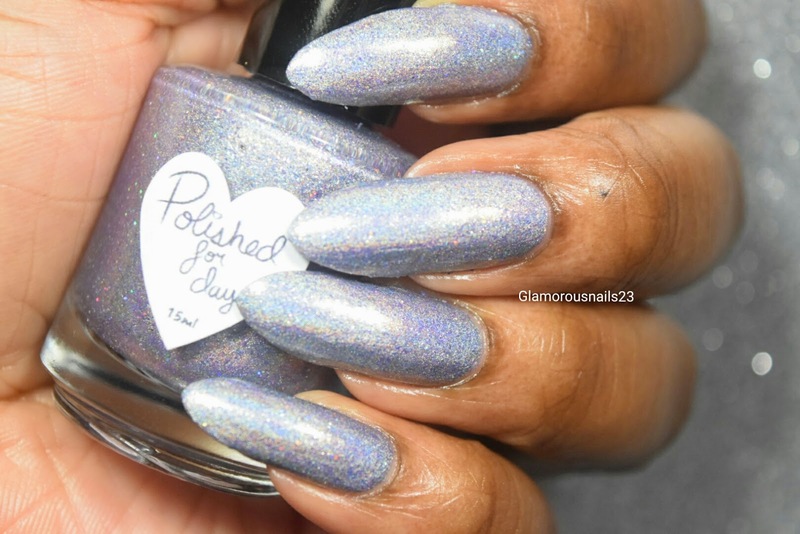 There's no way that you can tell me this polish doesn't make you want it! Last but definitely not least is guest indie polish Gravity by Starrily. Gravity is a smooth indigo based holographic polish with micro-glitters. 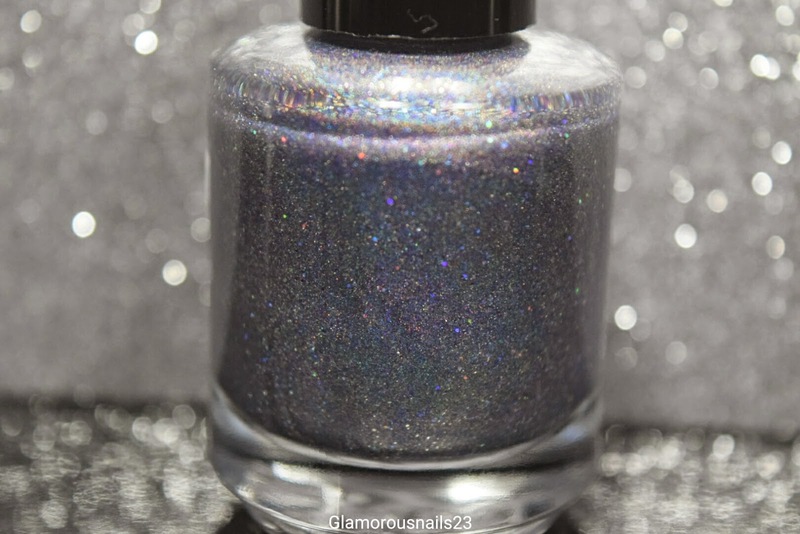 This polish is just amazing and it is pretty much a one coater!! 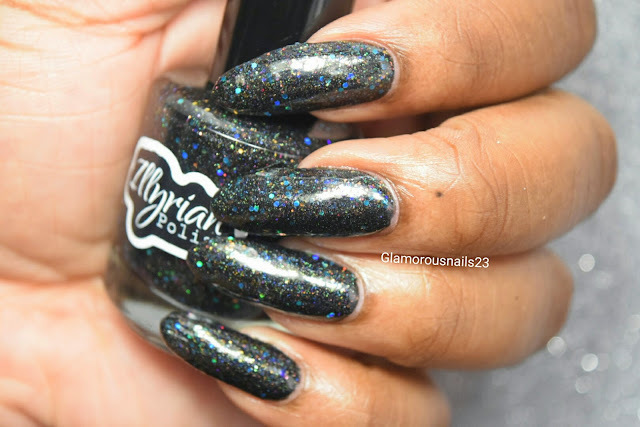 The formula was very easy to work with and it did dry fast! 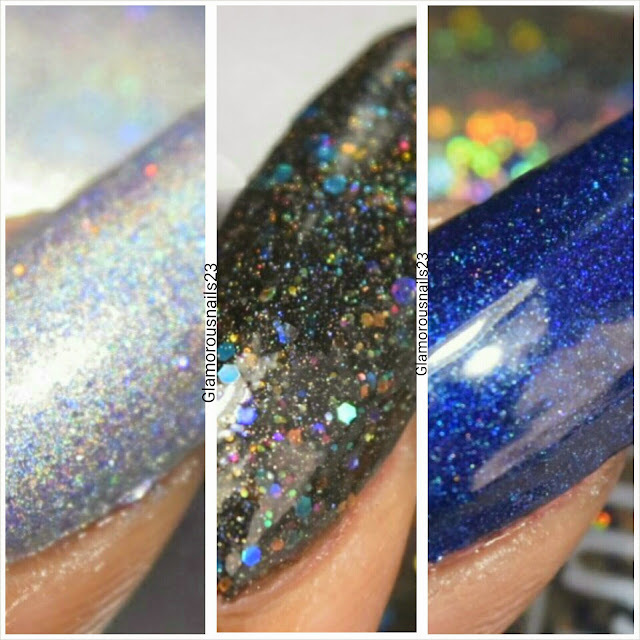 In the photos below I used two thin coats (just for good measure) with a top coat. 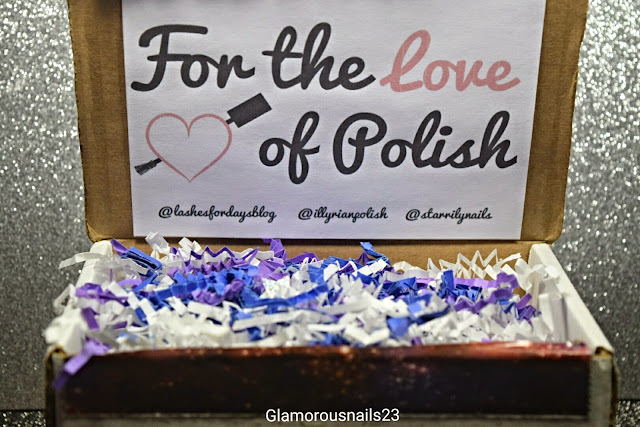 For The Love Of Polish Box comes out every month and this one sold out very quickly! 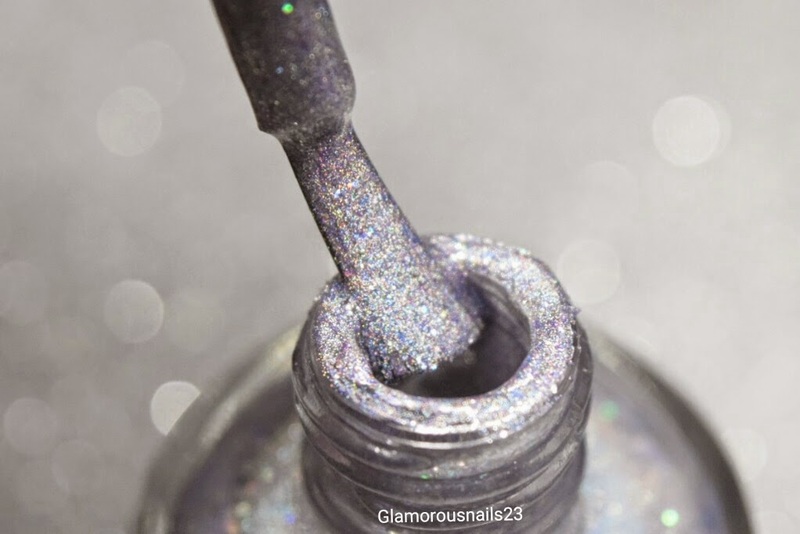 Keep your eyes out for the June box! I know that I will definitely be grabbing that one as soon as it launches. 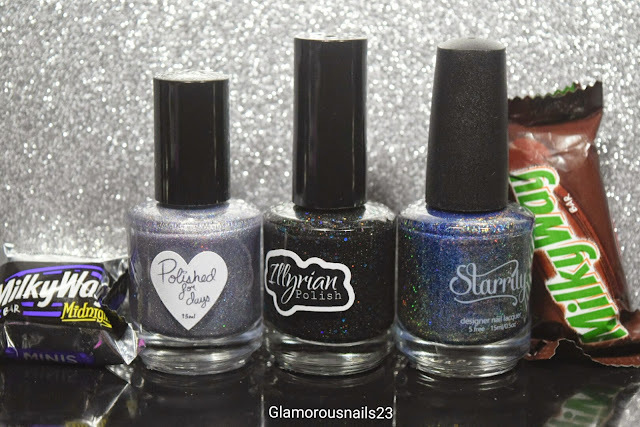 The polishes for this box were perfect and they were on point with the theme! 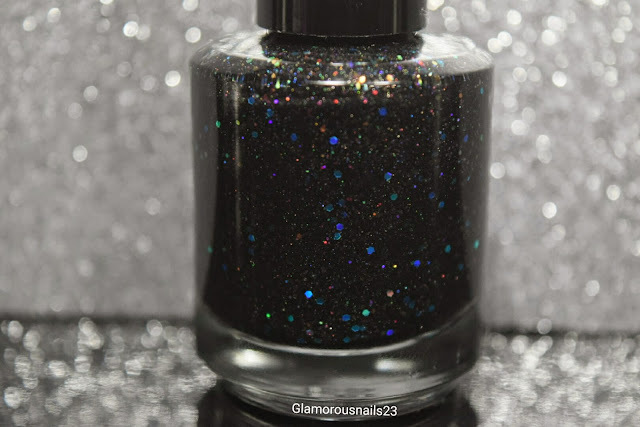 Do you own any polishes from any of this indie polish makers? Which ones do you have?